Faculty of Pharmacy, University of Indonesia, Depok, 16424, INDONESIA. Caesalpinia bonduc (L.) Roxb are traditionally used in Indonesia to treat various diseases, but still limited study about different part of this plant. The aim of this study was to screen the phytochemicals, to evaluate the total flavonoid and total phenolic contents as well as antioxidant activity of ethanol extract of root, stem, leaves, and seed kernel of C. bonduc. Each part of plant were extracted by reflux using 70% ethanol as the solvent for 2 h and repeated 3 times. Total flavonoid content was determined by aluminium chloride colorimetric assay on 415 nm. Total phenolic content was determined with Folin-Ciocalteu 1:4 on 765 nm using microplate reader. Antioxidant activity was determined using 2,2-diphenyl-1-picrylhydrazyl (DPPH) free radical scavenger methods. Phytochemical screening showed that all of samples positively contain flavonoid and saponin. Total flavonoid content was the highest in leaf and the lowest in root whereas total phenols content was highest in leaf and the lowest in seed kernel. The crude extracts displayed DPPH free radical scavenging activity with highest value in leaf extract followed by root, stem, and seed kernel. The 70% ethanol leaf extract of C. bonduc showed the highest yield, total flavonoid content and total phenolic content among other parts investigated. Moreover, leaf extract has highest DPPH free radical scavenging activity (79.802 μg/ml) which could be related to its higher phenolic content. C. bonduc is thorny perennial shrub with length reach of 15 m, stems are covered in curved spines. It’s about 2 cm gray seeds known as nicker nuts. The kernel is about 1.23- 1.75 cm in diameter with hard, pale yellowish – white, circular to oval, furrowed and ridged surface. Branches are armed with hooked and straight hard yellow prickles. Leaves are bipinnate, 25-40 cm long and petioles prickly. Leaflets 7-9 pairs, ovate-elliptic, 1.5-3.5 × 1-2 cm, glabrous above, and pubescent below. Stipules are foliaceous. Peduncle is long, 3 to 4 cm, prickled, bracts long, linear-lanceolate and deciduous. Pedicel is 0.5-1.5 cm and very short in bud.2,7,8 Each part of the plant as seen in Figure 1. According to the literature search, phytochemical and antioxidant activity of different parts of C. bonduc have never been comparatively evaluated. The study was carried out to screen the phytochemicals as well as to evaluate total flavonoid contents, total phenolic contents and antioxidant activity of root, stem, leaf and seed kernel ethanolic extract. Gallic acid, Foline-Ciocalteu reagent, 1,1-diphenyl-2-picrylhydrazyl (DPPH), ascorbic acid, quercetin, aluminium chloride, sodium acetate, sodium carbonate was purchased from Sigma Aldrich (Singapore). Ethanol were purchased from Merck (Germany). Parts of C. bonduc were collected in January 2017 from Bulukumba, South Sulawesi, Indonesia. All plants were identified by Indonesia Science Institution, Center for Plant Conservation-Bogor Botanical Garden, Indonesia. The plants materials were collected and cleaned, dried at room temperature, crushed into powder and stored in an air tight glass container. Fifty g of powdered samples was extracted by reflux using 70% ethanol as the solvent for 2 h and repeated 3 times. The extracts then evaporated using a vacuum rotatory evaporator, and then dried in water bath on 50°C. The extraction yield was calculated for each extract. The qualitative phytochemistry test were conducted according to Indonesian Materia Medica16 and Harborne.17 Alkaloid test with Mayer, Dragendorff, and Bouchardat reagents; flavonoid test with Shinoda test; tannin test with gelatin test, gelatin-salt test, and test with ferrous (III) chloride; saponin test with froth test; quinone with Borntrager test; terpenoid/steroid test with Liebermann-Burchard reagent. Total flavonoid content was determined by aluminium chloride colorimetric assay adapted from Chatatikun et at18 and Roy et al19 with slight modification. Standard solution of quercetin in concentration 30,40,50,60,70,80,90,100 μg/ml were prepared in 96% ethanol. 50 μl of extracts (1 mg/ml) or standard solution was added to 10 μl of 10% the aluminium chloride solution and followed by 150 μl of 96% ethanol. 10 μl of 1 M sodium acetate was added to the mixture in a 96 well plate. 96% ethanol was used as reagent blank. All reagents were mixed and incubated for 40 min at room temperature protected from light. The absorbance was measured at 415 nm with a microplate reader (Versamax Microplate Reader, USA). Total flavonoid contents were expressed as mg Quercetin Equivalents (QE) per g of plant extract. The microplate total phenolic content method was based on the 96-well microplate Folin–Ciocalteu method adapted from Ahmad et al 20 with some modifications. A total of 25 μL of the diluted extract of each part of C. bonduc were mixed with 100 μL of 1:4 diluted Folin–Ciocalteu reagent and shaken for 60 sec in a flat-bottom 96-well microplate. The mixture was left for 240 secs and then 75 μL of sodium carbonate solution (100 g/L) were added and the mixture was shaken at medium continuous speed for 1 min. After 2 h at room temperature, the absorbance was measured at 765 nm using the microplate reader (Versamax Absorbance Microplate Reader, USA). The absorbance of the same reaction with ethanol instead of the extract or standard was subtracted from the absorbance of the reaction with the sample. Gallic acid dilutions (10–200 mg/L) were used as standards for calibration. Total phenolic contets were expressed as mg Gallic Acid Equivalents (GAE) per g of plant extract. Ascorbic acid was used as positive standard. All tests were performed in triplicate. Concentration of samples resulting in 50% inhibition on DPPH (IC50 value) were calculated. The results showed the highest yield was associated with leaves (33.8%), followed by seed kernel (28.26%), root (18.52%) and then stem (10.48%) as seen on Figure 2. The extracts were further investigated to determine phytochemical compound in the extract. The common phytochemistry content from plant such as flavonoid, alkaloid, terpenoid, steroid, tannin, and saponin have identified (Table 1). The result of total flavonoid contents of the four crude extracts is given in Table 2. Equation of calibration curve of quercetin standard was y = 0.0291×−0.0397, R2 = 0.9904. Among the four crude extracts, leaf contained the highest (31.05 ± 0.35 mgQE/g) amount of total flavonoid content compounds followed by stem (21.82 ± 0.46), seed kernel (13.21 ± 1.35) and then root (12.55 ± 0.08 mgQE/g). The result of total phenolic content determination from 70% ethanolic extracts of different parts of C. bonduc are shown in Table 3. Calibration curve from gallic acid showed maximum absorbances at 765 nm wavelength (equation y = 0.0531x + 0.0003, R2 = 0.9951). The total phenol contents of four crude extracts determined by Folin-Ciocalteu method were reported as gallic acid equivalents. Among the four crude extracts, leaf contained the highest (146.64 ± 3.94 mgGAE/g) amount of total phenolic content compounds followed by stem (144.42 ± 16.05), root (89.81 ± 3.00) and then seed kernel (70.34 ± 10.59 mgGAE/g). Caesalpinia bonduc (L.) Roxb (a) root; (b) stem; (c) leaf; (d) seed; (e) seed kernel. The ability of extract in scavenging DPPH radical are shown in Table 4. The leaf has the highest ability to scavenge free radicals than other parts. Phytochemical screening of the extracts. Data are mean ± SEM for triplicate measurements. The total phenols contents in four different crude extracts were evaluated in the present study. The highest amount of phenolics compounds was present in leaf (146.64 mg of GAE/g of crude extract) and the lowest was in seed kernel extract (70.34 mg of GAE/g). Leaf also have highest total flavonoid content (31.05 ± 0.35 mgQE/g) while the lowest was in root (12.55 ± 0.08 mgQE/g). The molecule DPPH is a free radical by the delocalisation of the spare electron over the molecule. The delocalization of electron rises to the deep violet colour. If a solution of DPPH is mixed with samples that can donate a hydrogen atom, DPPH will be converted into colourless purple. The amount of reduced DPPH was measured in absorbance at 517 nm.26 In present study, ascorbic acid as a well known potent antioxidant, was used as positive control for DPPH scavenging activity. Leaf part showed highest ability in DPPH scavenging activity compare to other plant part which measured by the lowest IC50 value, but it has lower antioxidant capacity compared to ascorbic acid. The phenolic content in the leaf may contribute to the antioxidative action by hydrogen donating ability. Antioxidant activity of leaf and seed kernel of C. bonduc in this study were found different from study in other country.27,28 The variation might be caused by different phytogeographic region and plant nutrition, which could modify the secondary metabolites of the plant29 and due to the different method of extraction and solvents polarities. The 70% ethanol leaf extract of C. bonduc showed the highest yield, total flavonoid content and total phenolic content compared to other part investigated. Moreover, leaf extract has highest DPPH free radical scavenging activity (79.802 μg/mL) which could be related to its higher phenolic content. Each part of C. bonduc (root, stem, leaf, seed kernel) were extracted by reflux using 70% ethanol as the solvent for 2 hours and repeated 3 times. The highest yield was leaf (33.8%). Phytochemical screening showed that all of samples positively contain flavonoid and saponin. Total flavonoid content was the highest in leaf (31.05 ± 0.35 mgQE/g) and the lowest in root whereas total phenols content was highest in leaf (146.64 ± 3.94 mgGAE/g) and the lowest in seed kernel. 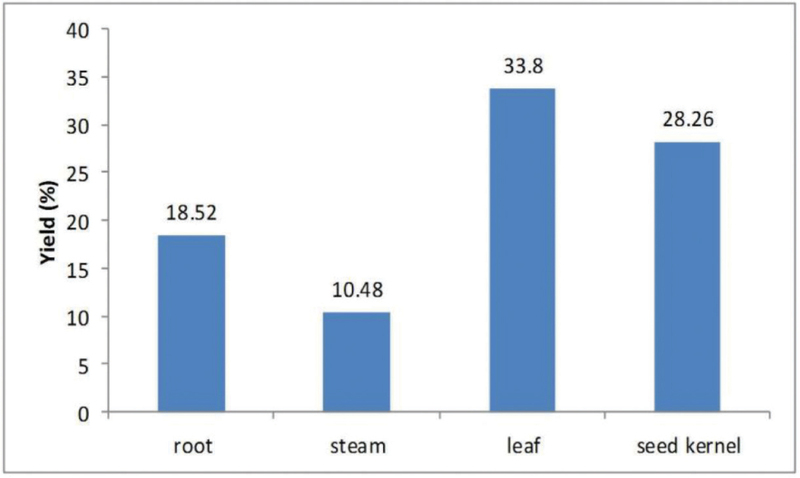 The highest DPPH free radical scavenging activity was in leaf extract (79.802 μg/mL) followed by root, stem, and seed kernel. This study was supported by Universitas Indonesia via a grant “Hibah PITTA 2017”. Elin Novia Sembiring: Is a magister student at the Faculty of Pharmacy, University of Indonesia. Her magister research focused on the phytochemical and antioxidant activity of Indonesian herbal medicines. 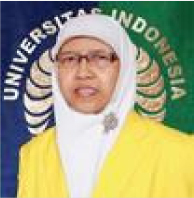 Berna Elya: Is Professor at the Faculty of Pharmacy, University of Indonesia. She is Head of Laboratory of Phytochemistry and Pharmacognosy. Has expertise in the area of Pharmacognosy and Phytochemistry of Natural Products. 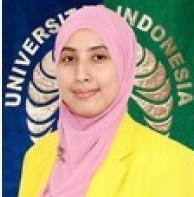 Rani Sauriasari: working as lecturer and researcher in Faculty of Pharmacy, University of Indonesia. Her doctor degree obtained from Public Health (Medical Faculty), Okayama University, Japan. 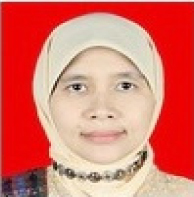 Currently, she is positioned as Manager of Research and Community Engagement, Faculty of Pharmacy, University of Indonesia. Has experience in the area of Biochemistry, Analitycal Chemistry and Pharmacology, working mainly in: Medicinal plants and New Research Drugs. Elfahmi, Woerdenbag HJ, Kayse O , authors. Jamu: Indonesian traditional herbal medicine towards rational phytopharmacological use: review. Journal of Herbal Medicine. 2014. 4(2):p. 51–73. http://dx.doi.org/10.1016/j.hermed.2014.01.002. Mardisiswojo S, Mangunsudarso HR , authors. Cabe Puyang Warisan Nenek Moyang. Balai Pustaka. 1985. In Bahasa. Heyne K , author. The Useful Indonesian Plants. Sec Edition. Research and Development Agency Ministry of Forestry Indonesia; Jakarta: 1987. In Bahasa. Alam MN, Bristi NJ , authors. Review on in vivo and in vitro methods evaluation of antioxidant activity. Saudi Pharmaceutical Journal. 2013. 21(2):p. 143–52. http://dx.doi.org/10.1016/j.jsps.2012.05.002. Departemen Kesehatan Republik Indonesia. Materia Medika Indonesia Jilid VI. 1995;In Bahasa. Zahratunnisa N, Elya B, Noviani A , authors. Inhibition of alpha glucosidase and antioxidant test of stem bark extracts of Garcinia fruticosa Lauterb. Pharmacogn J. 2017;9(2):273–5. http://dx.doi.org/10.5530/pj.2017.2.46. Ghasemzadeh A, Jaafar H , authors. Optimization of reflux conditions for total flavonoid and total phenolic extraction and enhanced antioxidant capacity in pandan (pandanus amaryllifolius roxb.) using response surface methodology. The Scientific World Journal. 2014. p. 1–10. http://dx.doi.org/10.1155/2014/523120. Mandal S, Hazra B, Sarkar R, Biswas S, Mandal N , authors. Assessment of the antioxidant and reactive oxygen species scavenging activity of methanolic extract of Caesalpinia crista Leaf. Evidence-Based Complementary and Alternative Medicine. 2011;DOI: 10.1093/ecam/nep072. Article ID 173768. Zhang X, Zhao Y, Guo L, Qiu Z, Huang L, Qu X , authors. Differences in chemical constituents of Artemisia annua L from different geographical regions in China. PLoS ONE. 2017;12(9):e0183047https://doi.org/10.1371/journal.pone.0183047.